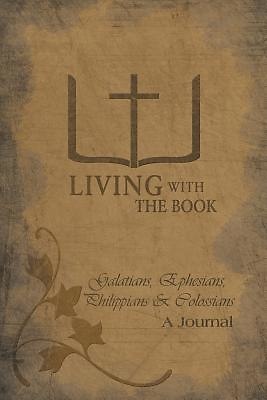 ""Living with the Book: Galatians, Ephesians, Philippians & Colossians,"" is one in a series in which the authors present a fresh, meaningful way for Christians to embolden their study of these letters. Part study guide and part journal, the "Living with the Book" series delivers poignant Scriptures from each book of the New Testament and provides ruled pages for readers to record their thoughts, feelings and personal testimonies. ""Living With the Book"" by Phil and Linda Charlton is a good idea, and very well done. I'm a big fan of journaling, and this is a great tool for digging deep into the Bible. The commentary is brief enough to be accessible, but provides valuable context and explanation to encourage meditation and exploration of the Word. It's a natural for Bible study groups as well as independent study. What a great way to work through the Gospels together and jot down thoughts for discussion." -- Peter Bronson, former editor and columnist for the Cincinnati Enquirer; columnist and editor for Cincy Magazine.